Naziah Bi of Tuatua, Labasa, started selling vegetables and fruits at the Labasa Municipal Market this year. She says this is to help fend for her family. Ms Bi operates from her market stall from Monday to Saturday. The 42-year-old said she loves selling in the market because she gets to meet new people every day. “The goods that I sell are mostly from farmers but sometimes close relatives and friends also help me out,” Ms Bi said. 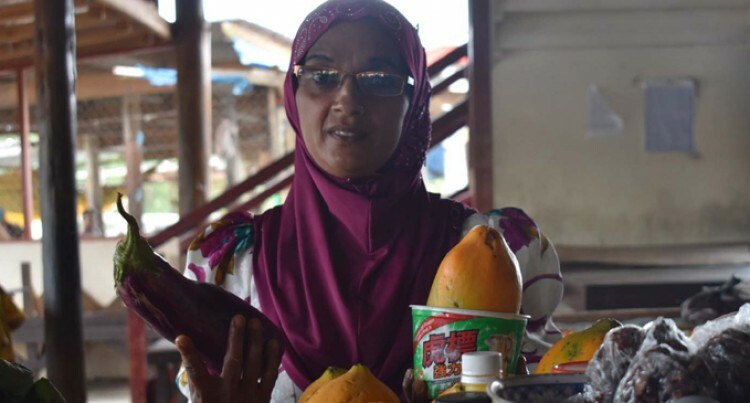 “I prefer selling at the market because I earn money every day,” she said. “As the holidays approaches, I am making a lot of money,” she said. “My busiest days are from Thursday to Saturday and when it is government pay week,” she said. At her stall she is able to make a living from the profits of the day.